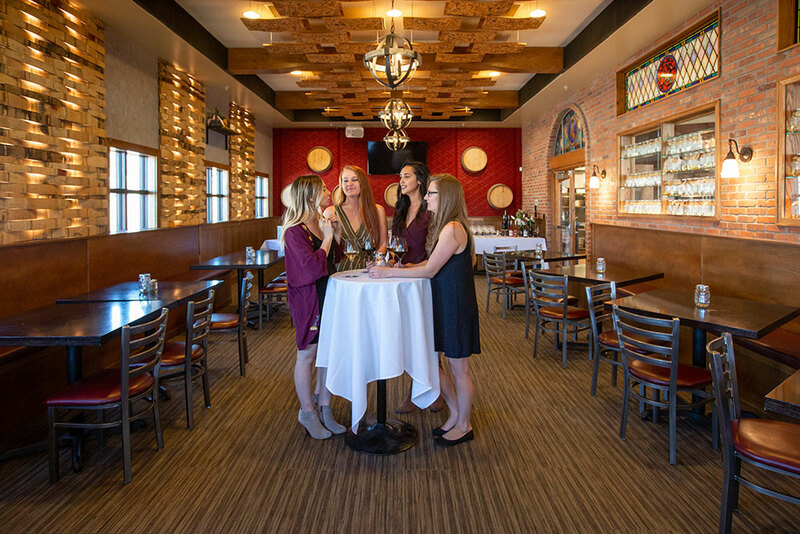 Angelo’s Taverna is the most unique space to host your next event in Littleton. 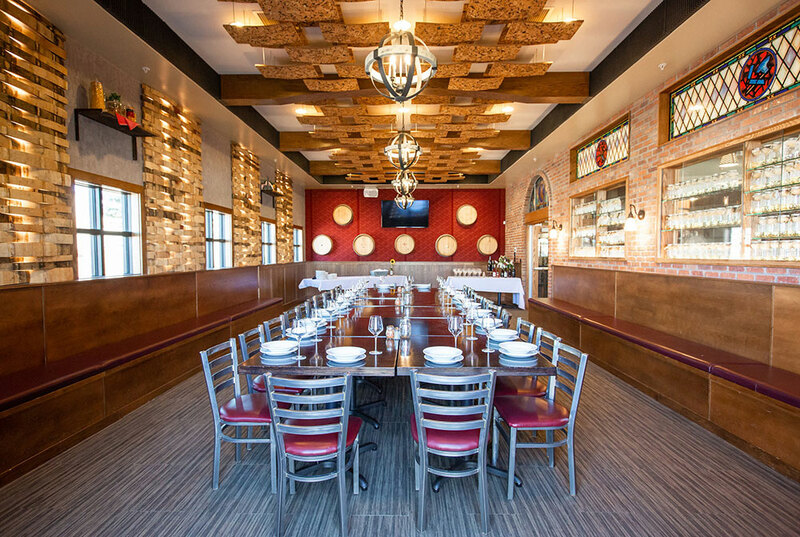 We offer 2 different spaces for private and semi private events. 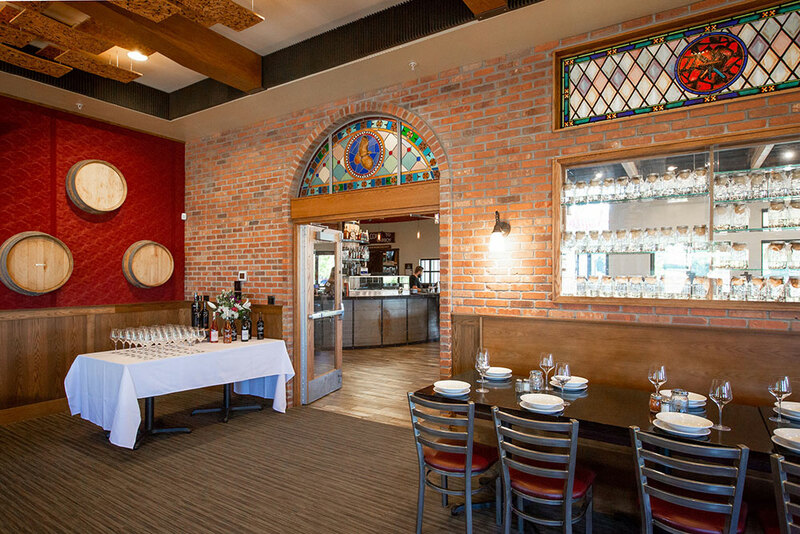 Angelo’s Banquet Room can seat up to 55 guests in the newly renovated, wine themed, private room in Littleton. 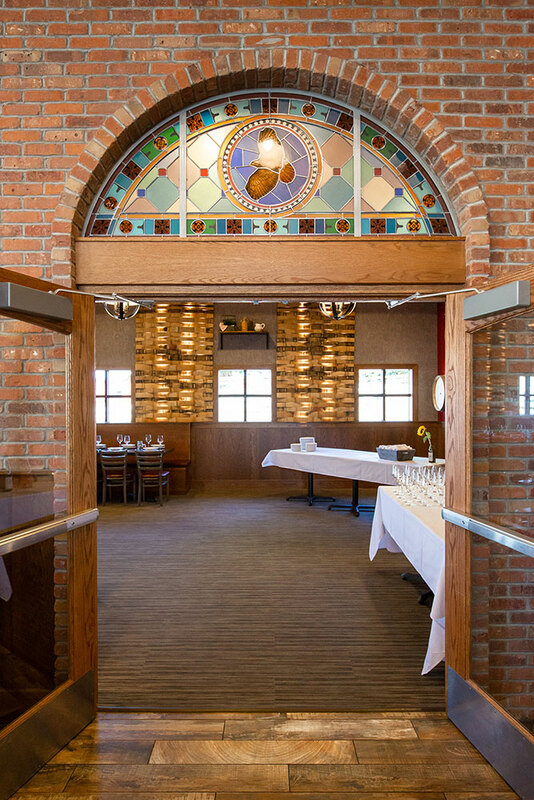 Relax and enjoy a view of the mountains as well as imported stained glass from Italy and our homemade lemoncello wall. 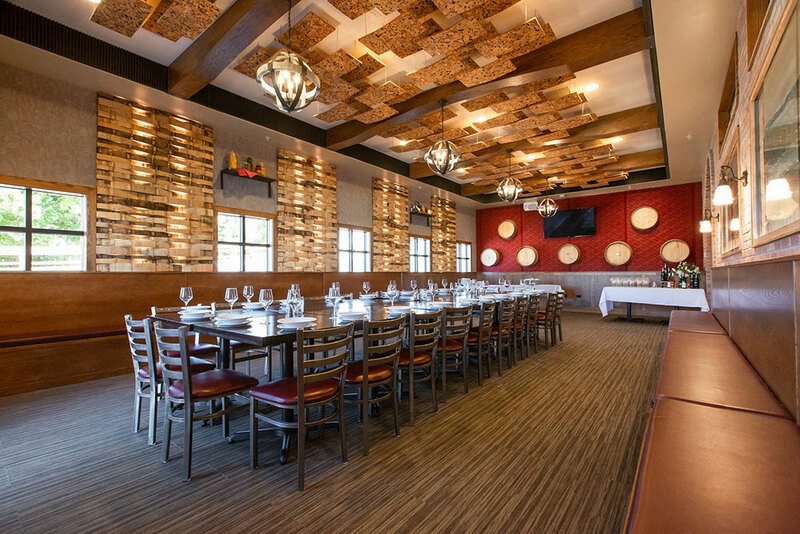 The banquet room is great for corporate events, business meetings, birthday parties, rehearsal dinners or any reason to get out and celebrate! The private room comes with a TV that can play a slideshow or presentation as well as a private west facing patio with amazing mountain views. 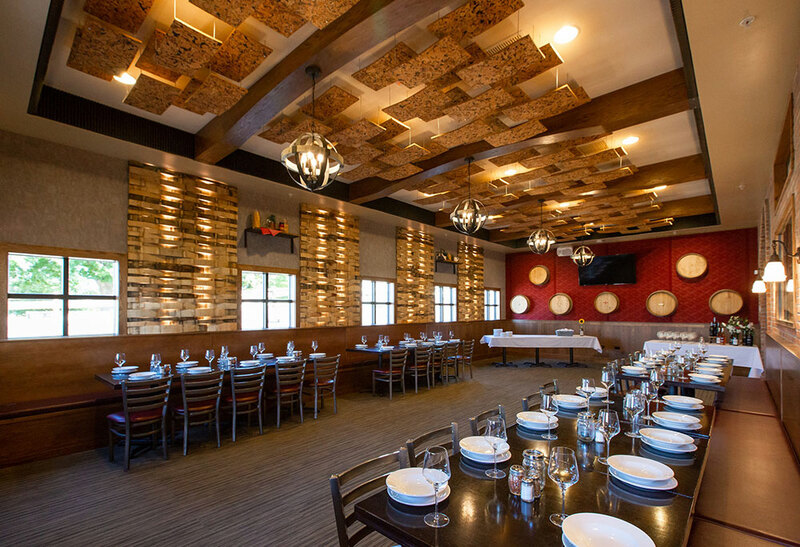 Our top notch service, food and wine will make for a one of a kind event! 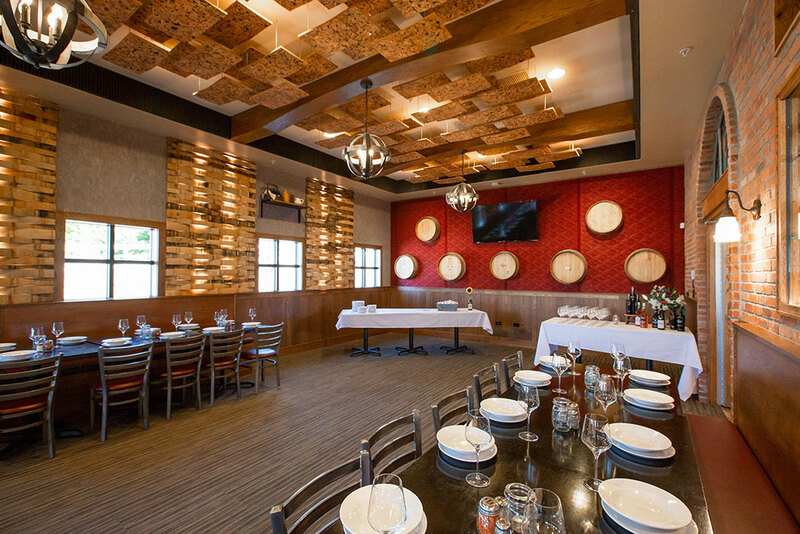 All Private events do require a food and beverage minimum and room fee which varies depending on date, time and season. If the food and beverage minimum is met, the room fee will be waived. To secure the event there is a $50 non refundable deposit that will go towards your final bill on the day of the event. A 20% gratuity, 7.25% tax and 3% administration fee will be added to the final bill. To Book a private event please fill out the online form below and our events coordinator will get back to you within 48 hours. Please reference our FAQ’s for more details. If you did not need a contracted event please call the restaurant to be put on the priority seating list. Some large parties may not be able to be accommodated depending on the date and time. 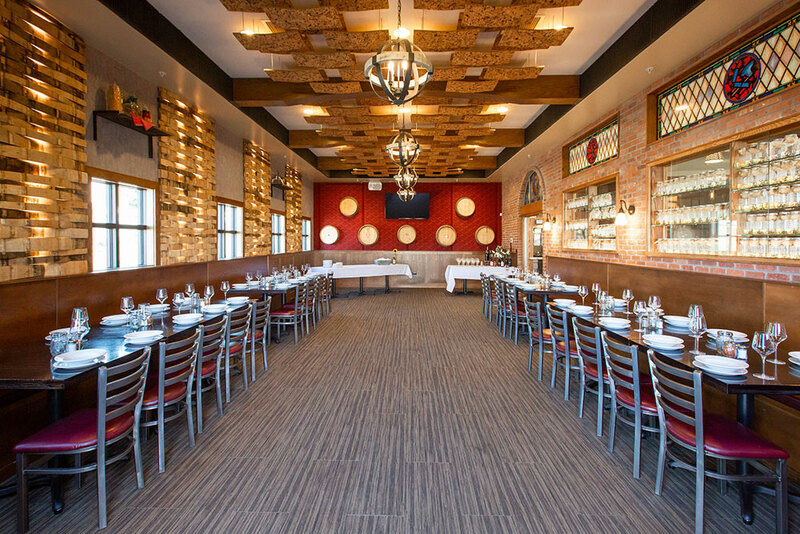 Book Your Next Event in Angelo’s Littleton’s Banquet Room! Q: Do you charge a room fee for private dining areas? A: To reserve the space, there is a room fee and food and beverage minimum requires. All food and beverages (including alcohol) does go towards the minimum, tip and tax is additional. If the food and beverage minimum is met, the room fee will be waived. If the minimum is not met, the remainder will be added as the room fee. Retail wine, gift cards and togo food will not go towards the room fee. The minimum amount depends on the date and time of your event. Room minimums must be reached before tip and tax is added to the final bill. Q: What is needed to reserve the space? A: In order to secure your private event, a deposit of $50 and signed contract must be received. The deposit will be deducted from the final bill. Payment in full is required at the completion of the event. All deposits are non-refundable. Q: Are there any other fees associated with reserving the space? A: All Events are subject to a 3% administration fee that will be added to the final bill before tip and tax. Q: Can I bring my own dessert? Is there a cake-cutting fee? A: Guests are welcome to bring in their own desserts, such as birthday cakes. We do not have a cake cutting fee. Q: Can I bring in my own bottle of wine? Is there a corkage fee? A: BYO is not permitted. All of the wines from our menu can be ordered for private events. Q: How are beverage purchases handled for large groups? 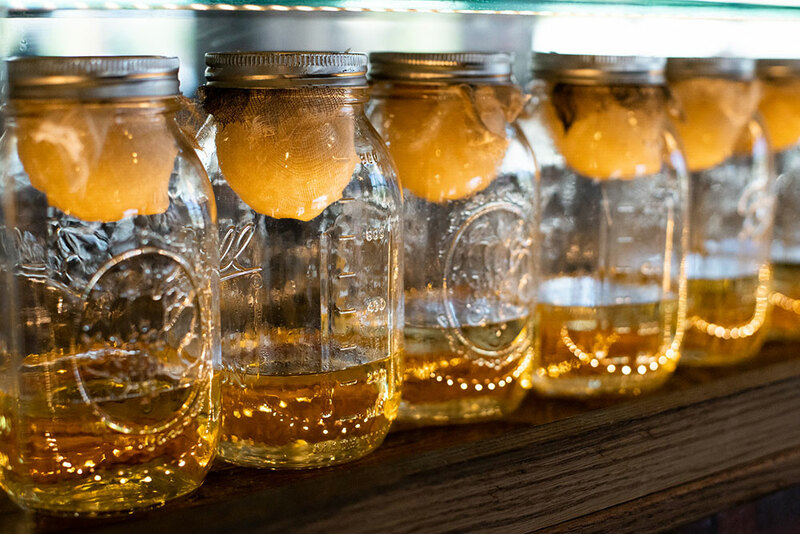 A: We can accommodate a variety of options for beverage purchases. The three most common choices are  to provide an “open bar”, where guests can order from our full bar and wine lists with the charge going on the host’s check,  a “cash bar” where guests pay for their own drinks, and  a limited drink list, where the host pays, but guests are limited to a pre-selected list of beverages. Q: Do your tables have linens? Can you get custom linens? 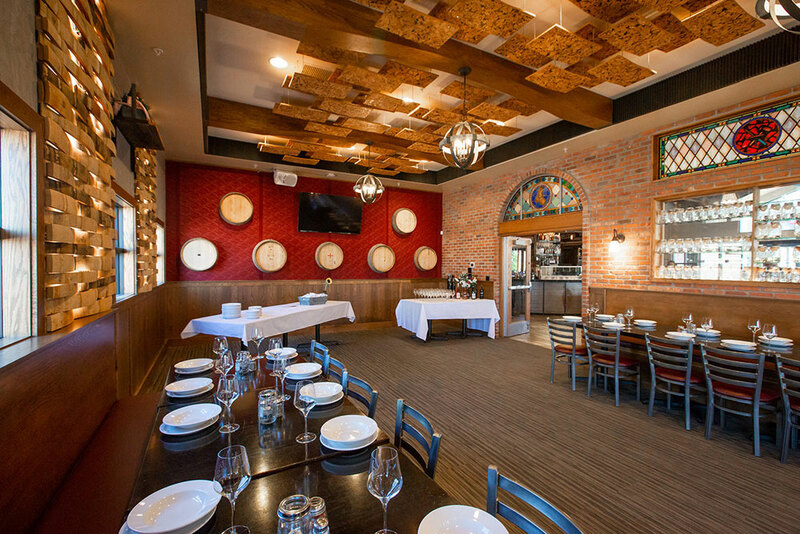 A: Our tables are dark black/brown which blends perfectly with our wine themed room. However, we do have white tablecloths available with advance notice. Events in the winery will have white linen on all tables. Q: Can I bring flowers or can I get them through the restaurant? A: Guests are welcome to provide their own flowers for events. Q: Do you have the ability to show presentations? 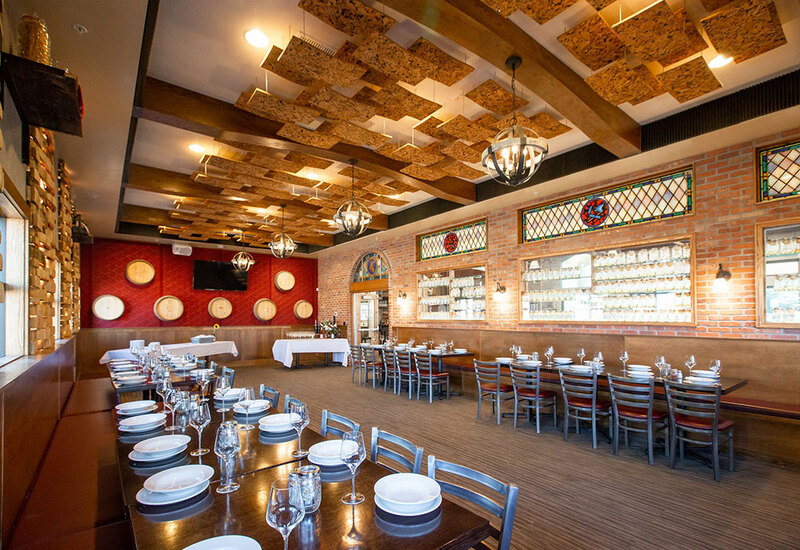 A: We have flat screen TV mounted to the wall in the private banquet room in Angelo’s. We provide the HDMI chord. Your computer must be HDMI compatible or have a connector in order to display on the screen. We also have a Bluetooth speaker you can use to play music. Q: Can we play our own music in the room? A: We do have a speaker that you can use to play music either Bluetooth or through an auxiliary chord. Or the speakers will play the music that is the same throughout the restaurant. Q: What is the gratuity and tax? A: The gratuity is 20% and the tax is 7.25%. Q: Is there internet access in the room? A: We can give out the wifi password to 2 guests, but cannot exceed 2. Q: Are there preset menus available? A: We offer different set menu options that can be served either buffet or family style. There are set menus for lunch and dinner as well as hor’s d’oeuvre menu if you would prefer heavy appetizers. No menus are placed in front of guests, servers can give a detailed description of food. A: We take all major forms of payment, AMEX/Visa/ Discover/MasterCard and cash. No Checks please! Q: When can I access the room for set up? A: We start to set up the room one hour prior to the event start time. You can come in 30 minutes prior to set up unless planned with the events coordinator prior. Q: What if I did not want a private event with a minimum, but have a large party? A: Please call the restaurant to be put on the priority seating list. Some large parties may not be able to be accommodated depending on the date and time. Q: Can I bring decorations? A: Decorations are allowed, however we do not allow confetti due to the difficulty in clean up. Balloons, flowers, cake, banners are all acceptable as long as it does not do damage. Q: When do you need a final headcount? A: We need a final headcount one week prior to the event, If the party increases in size the day of, we will add on to the per person price. If you have a decrease in guest count, we will honor your last guaranteed guest count provided on week prior. Q: How is my final bill presented? A: Your final bill will be presented at the end of your event after all food and beverage has been added. If you do not meet the minimum, there will be a “room fee” added of the remaining amount due. Q: When do you need the final menu? A: Menus selections are due no later than 7 days prior to the event. If your menu has not been selected by that time, some menu items may not be limited or unavailable. Semi-private dining space for up to 45 people. 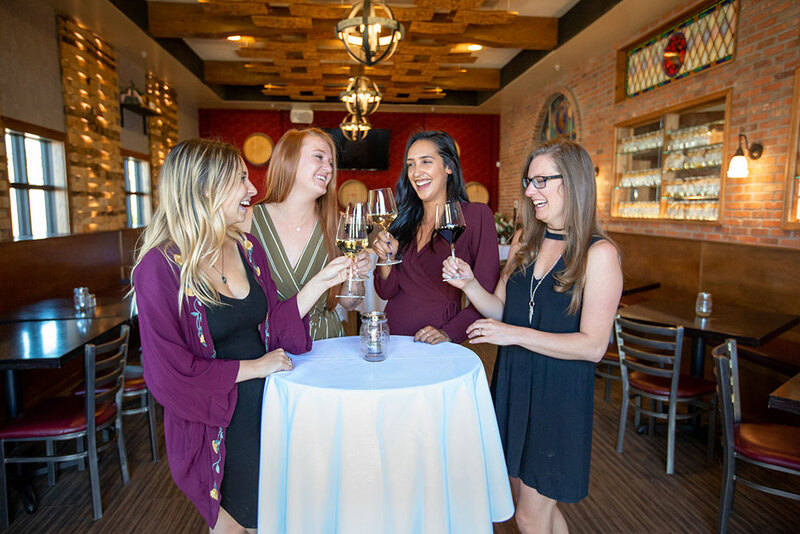 Enjoy Colorado’s urban winery experience like none other. Learn our techniques in making and producing wines specific for Colorado. Please visit Carboy’s website for more details and booking information.